This course will cover the essentials of Machine Learning on AWS and prepare a candidate to sit for and clear the AWS Machine Learning-Specialty (ML-S) Certification exam. There are four main categories that will be covered: Data Engineering, EDA (Exploratory Data Analysis), Modeling, and Operations. The final portion of the course will be to cover real world case studies of Machine Learning problems on AWS. Learn how to think about the AWS Machine Learning-Specialty (ML-S) Certification exam to optimize for the best outcome. You are a DevOps Engineer who wants to understand how to operationalize ML workloads. You are a Software Engineer who wants to master Machine Learning terminology, and practices on AWS. You are a Machine Learning Engineer who wants to solidify their your knowledge on AWS Machine Learning practices. You are a Product Manager who needs to understand the AWS Machine Learning lifecycle. You are a Data Scientist who runs Machine Learning workloads on AWS. 1-2 years of experience with AWS and six months using ML tools. Ideally candidates would have already passed the AWS Cloud Practitioner cert. 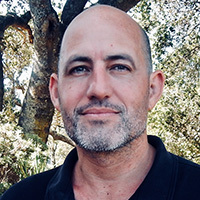 Noah Gift is lecturer and consultant at both UC Davis Graduate School of Management MSBA program and the Graduate Data Science program, MSDS, at Northwestern. He is teaching and designing graduate machine learning, AI, Data Science courses and consulting on Machine Learning and Cloud Architecture for students and faculty. These responsibilities including leading a multi-cloud certification initiative for students. He has published close to 100 technical publications including two books on subjects ranging from Cloud Machine Learning to DevOps. Gift received an MBA from UC Davis, a M.S. in Computer Information Systems from Cal State Los Angeles, and a B.S. in Nutritional Science from Cal Poly San Luis Obispo. Professionally, Noah has approximately 20 years’ experience programming in Python. He is a Python Software Foundation Fellow, AWS Subject Matter Expert (SME) on Machine Learning, AWS Certified Solutions Architect and AWS Academy Accredited Instructor, Google Certified Professional Cloud Architect, Microsoft MTA on Python. He has worked in roles ranging from CTO, General Manager, Consulting CTO and Cloud Architect. This experience has been with a wide variety of companies including ABC, Caltech, Sony Imageworks, Disney Feature Animation, Weta Digital, AT&T, Turner Studios and Linden Lab. In the last ten years, he has been responsible for shipping many new products at multiple companies that generated millions of dollars of revenue and had global scale. Currently he is consulting startups and other companies.